I am a tool addict, I want to play with every SaaS tool out there and I try as many as possible (seriously, I’ll demo anything). I inspect the features, see what is possible, look for use cases and check out integration opportunities for business processes. After I’m familiar with the tool, I look for ways to automate with Zapier, IFTTT or through APIs. It’s fun for me to discover the ways businesses and marketers can expand and improve their businesses with the internet and technology. I’ve been doing this for a few years now and combining what I’ve seen with what I’ve learned in digital marketing, I’ve got some good insight into why potential buyers won’t purchase your tool. I hope this is useful. Let’s get started. Reason 1: I don’t have a problem, I’m happy with what I’ve got. Your first job in selling is to identify my problem. But, I don’t have a problem. Things are working just fine for me. My team isn’t complaining and customers are happy with how long it takes to handle their purchases, even customer service. I don’t have a pain that needs to be fixed. Reason 2: It isn’t always about the money I’m ‘losing’. Every tool out there promises I’m losing time and money- guess what? Running a business takes time and money. I know I have to invest to make my business grow, so telling me I’m losing money and time doesn’t make your tool any more irresistible. While I may have 10 customers I’m losing $50 on a month ($500/mo. Or $6,000/yr.) I’m still banking a great deal on their contracts, so comparatively it doesn’t motivate me to make a big change. In a nutshell, I’m happy and comfortable where my business stands. Reason 3: These tools are made and retired every day. I can’t invest in something that won’t stick around. Changing tools is a pain and it’s distracting. I have little confidence your company is going to stick around and continue to make my life easy. I need proof you are a ‘real’ business with a stable future. I get emails on a regular basis that tools I’ve previously signed up for are closing, were bought out or are no longer funded. I like to watch for a while to make sure a tool is going to stick around, so give me a shout when you’ve been around a year or two. Reason 4: I don’t have time to learn your tool. No matter how ‘easy’ a tool seems to be, when I sign up I’ve got to figure it out, then I’ve got to teach my team. We have to go through our processes and see how it will fit in. All tools take time to learn, and besides signing up I don’t want to spend that time in checking if all of the features and options are going to work for my company. My time is money and while signing up might save me money in the long run, it is causing me to lose money as I am spending time learning it now. Reason 5: My needs are always changing, I’m not sure if I need this now or if I should wait. I’m growing my business and while I can see how helpful your tool is, I’m not sure it’s something I can’t live without. For example: When I only connect with 20 people I can easily use a spreadsheet. When I’ve got a couple hundred I can use another tool, and when I have a few thousands I’ll get Salesforce or Hubspot CRM. I plan on growing my business, but plans change. I could explode in a month and it would be great to get your tool now, or I could slowly grow and not need it for a year (meaning I’ll waste a lot of money in the meantime if I buy now). For now it makes sense to wait. Reason 6: I hate being sold to. When you are trying to sell to me, you are more focused on your sale than on my needs. The more you push, the less I care if the tool would be a good fit. I’m in control of the tools and products I try and if I feel like I am forced to try it because you won’t back off, this sale will be very difficult to make. I’ll ignore you, unsubscribe from your emails and avoid future conversations. The one way to ensure I will not purchase is to push me. From the beginning if I feel pushed at all, I will do whatever is in my power to avoid using your tool. Reason 7: I’ve never heard of you. I don’t trust you. 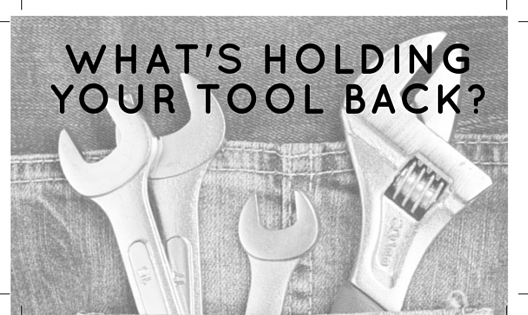 Being a tool enthusiast in digital marketing, I know of a lot of tools. I see new tools/apps/software on Product Hunt that I’d heard of months ago on a regular basis. And since I stay on top of my industry news and stories, I question a new tool I’ve never heard of. If my friends aren’t using it, no one I know has mentioned it, or you have a shoddy website, I’ll question your business. When I question your business, I’m not going to invest in your company, or risk mine, by using the tool you offer. Reason 8: I forgot about you. This one is tough, but true. I process a lot of information and I see a lot of tools, it happens that your tool may fall beneath my radar. There is a ton of content available to educate me on why I need tools like yours; I’ll remember those that stand out as stellar resources. They might provide an additional incentive or make themselves irreplaceable in another way, and they’ll be my first stop when I need to make a purchase. Reason 9: I’m using something similar. There are multiple project management tools on the market, so once I’m using one, I won’t make a change unless necessary. If your tool is comparatively similar to others on the market, there’s no reason for me to make a change. I need to be very uncomfortable with my current solution in order to consider something else. There are going to be a lot of reasons people won’t buy your tool. Some of them, like the ones listed above, can be overcome. Focus your attention on fixing the hurdles I’ve addressed here, and you should be able to improve how your target market sees your solution, along with the sales numbers they affect. Stay tuned for a follow up of solutions, examples and more.